I always struggle when asked who my favorite author is since there are so many I enjoy, but always one who comes to mind is Neil Gaiman. I first discovered his Sandman comics back in high school. Then I eagerly enjoyed as an adult his novels and short stories. Now that I am a mom, I’ve started reading some of his children’s picture books to my son. I’ve been lucky enough to go to several of his signings and readings and always found him to be one of the most engaging and kind writers towards his fans. Gaiman will be in New York in May and June, if you are also interested in experiencing his humor and charm first hand. Gaiman is also a supporter of libraries and was the Honorary Chair of National Library Week in 2010 (you can join us this April for library week April 13-19, when Judy Blume will be honorary chair). Some of his works including those for younger audiences can be a tad scary, but sometimes it can be fun to have a bit of a fright. Below is a sampling of some of my favorite of Gaiman’s works spanning across the many formats he writes for. The Sandman comics written by Neil Gaiman ran from 1988 to 1996 and center around Dream also referred to as Morpheus and by several other names, who is the personification and king of Dreams. The Sandman issue 19, “A Midsummer Night’s Dream”, won the Best Short Fiction World Fantasy Award in 1991. In 1999, Gaiman wrote a standalone novella based on the series, The Sandman: The Dream Hunters, which is beautifully illustrated by Yoshitaka Amano. In 2003 there was The Sandman: Endless Nights. He also wrote two spinoff series featuring the beloved character of Death, Dream’s gothic older sister and the prettiest grim reaper ever imagined. Currently Gaiman is working on creating new issues for the twenty-fifth anniversary of The Sandman. 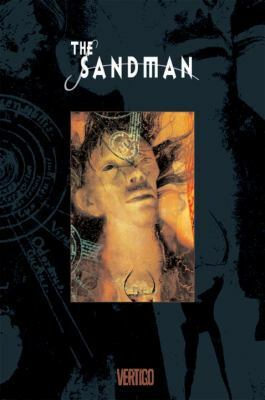 The first issue of The Sandman: Overture came out in October of last year, but the rest had been delayed likely due to Gaiman’s busy schedule. The second issue went on sale at the end of March. While you wait for more new issues, the sophisticated writing and interesting incorporation of mythology makes the earlier comics a treat to reread in the collected works available here at the Hoboken Public Library. You can read an interview with Gaiman and CNN to learn more about his return to the world of Sandman. I have yet to come across any works of Gaiman’s that I haven’t loved, but this may be my favorite of all. It is his first full length novel. This magical tale follows Richard Mayhew, an ordinary Londoner, who is drawn on a suspenseful adventure, by a young woman he rescues one evening and leads him on a journey to London Below, a strange alternative to the ordinary world he and the readers are familiar with. 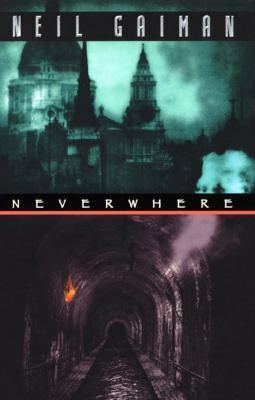 The BBC television miniseries of Neverwhere may not have the highest caliber of effects, but still manages to capture much of the spirit of Gaiman’s story. If you enjoy the interplay between the imagined world of fairytales and the modern world, also make sure to check out his terrific novels American Gods and Anansi Boys, which detail the conflict of the old gods of myths like Oden with the ones of our modern consumer driven world. 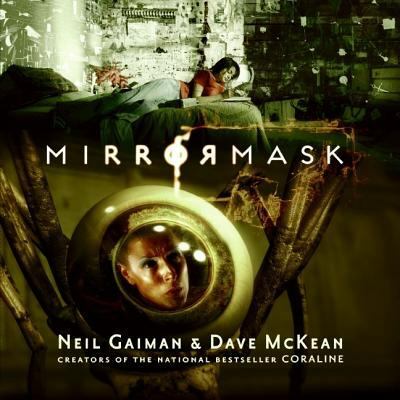 Neil Gaiman, wrote the screenplay to MirrorMask, which was designed and directed by Dave McKean who also created the iconic covers to the Sandman comics as well as illustrated several of Gaiman’s picture books. This surreal and visual stunning gem details an English girl’s dream journey to find the mirror mask to heal the sick White Queen, on the eve of her mother’s own surgery. The film was only given a limited release (my best friend and I had to go to NY to see it on the big screen), but if you are fan of Labyrinth or Alice in Wonderland, you will likely enjoy this film a lot and it is only an interlibrary loan request away for Hoboken patrons. You can also check out a graphic novella adaptation of the film. Cinephiles may also want to check out some of the adaptations of his other works including the charming movie versions of Stardust and Coraline. 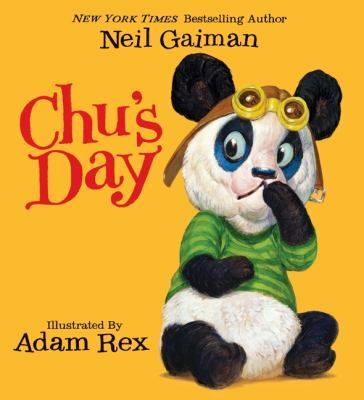 Chu’s Day chronicles a day in the life of a little panda whose sneeze causes big things to happen. This picture book is my two year old son’s favorite bedtime book, which he requests repeatedly. He often runs around the house going aaaa, aaaa, choo mimicking the cute chubby panda bear, Chu. My husband joked when he first saw this work that Gaiman was really phoning this one in since there is such limited text, but that makes it perfect to keep the attention of a little one with a small vocabulary and an even smaller attention span. Adam Rex’s clever bright illustrations are a delight. You can borrow a copy from the Hoboken Library and many of the others in the BCCLS system, but be warned if your child loves it as much as mine, you might need to buy a copy because they will want to have it read to them every night.